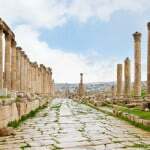 Jordan luxury tours offer travelers the opportunity to experience a country that’s brimming with history, but they also grant visitors the chance to stay in some of the finest hotels in the Middle East. Brands like Hyatt, Four Seasons, and Fairmont have opened properties there, so luxury travelers have no fear – you’ll find an excellent selection of five-star spots to lay your head each night. 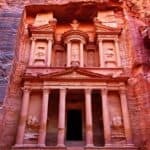 When booking Jordan tour packages, look for these ten hotels, which rank as some of the very best in the country. Located in Shmeisani, Kempinski Amman sits in a convenient location for shopping and dining in Amman’s central business district. Luxe guest rooms range from superior doubles to spacious suites – some with extraordinary views – and include robes, slippers, safes, tea and coffee makers as well as minibars. Patrons can dine in two excellent on-site restaurants and decompress in the highly rated spa or work up a sweat in the 24-hour fitness center. There’s also a coffee shop, bar, and free parking. 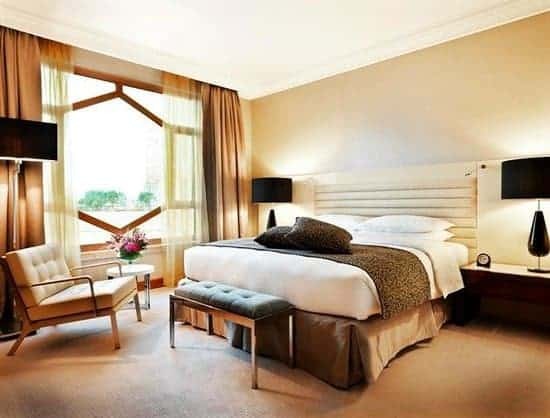 This Fairmont property pulls out all the stops, wowing guests with its welcoming staff, posh interiors, and sweeping views of the Amman hills. All 317 well-appointed rooms feature walk-in showers and soaking tubs as well as a dynamite location within a walk of some of the city’s most prized neighborhoods. Pick from four restaurants, serving Japanese cuisine, steaks, Levantine dishes, and local specialties. Crystal, a coffee lounge, hosts afternoon tea, and Caprice is the place to sip fancy libations in style. To recoup from tiring days in the city, opt for a hammam or mud treatment at the Willow Stream Spa, where you can let your troubles melt away. Panoramic views are a given at the city’s first hotel tower – soaring 50 floors above Amman. Sleek interiors with modern furnishings provide a concept that is unique to Amman Rotana. All 412 rooms feature bathrobes, tea and coffee, and well-stocked minibars. Guests can dine and drink in any of the six bars and restaurants preparing local and international cuisine. If you’re able to splurge for the Club Rotana Suites, Crown Suite or Royal Suite, you’ll have access to the Club Rotana Lounge, which includes perks like welcome drinks, complimentary breakfast, beverages all day, cocktail and canapes between 6 and 8 p.m., and more amenities. 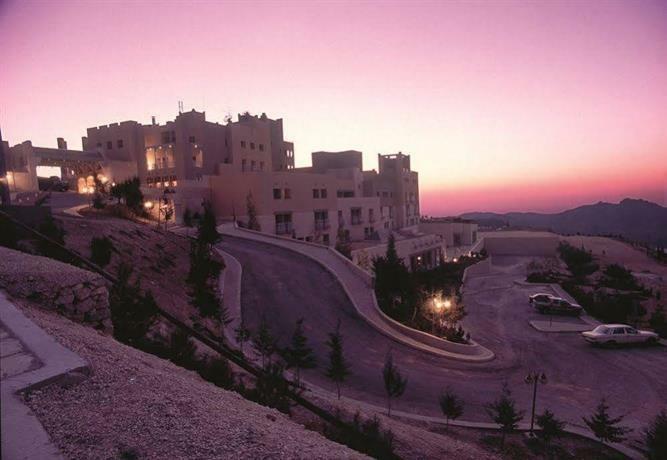 Swoon over Amman’s stunning peaks and valleys from this elegant property perched high above the city. 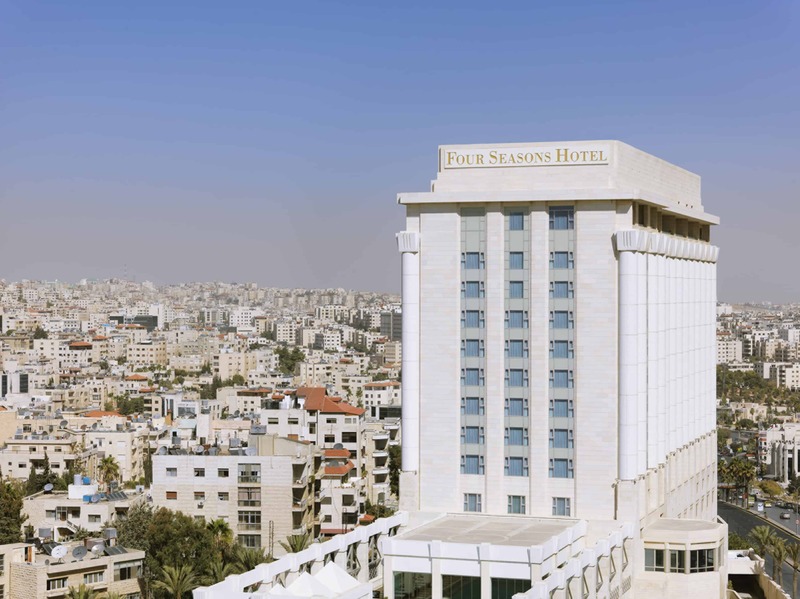 The rooms at Four Seasons Amman offer a residential vibe and plenty of luxuries such as sumptuous down duvets and pillows, terrycloth bathrobes, and Argan and Bulgari bath toiletries. Room service, a state-of-the-art workout facility, and concierge are available around the clock. A luxurious spa, pool, and five drinking and dining establishments complete this Four Seasons Hotel. This Hyatt property stands close to Abdali Boulevard, a thriving shopping and entertainment destination. Roomy accommodations feature creamy whites, gold and beige tones with punches of red. Hungry? You won’t run short on what to eat or drink at Grand Hyatt Amman. Sip cocktails at The Terrace after a long day of sightseeing; savor Italian favorites at L’Incontro; and be sure to try 32º North, a glam restaurant that you’d expect to find in New York or London. Club Olympus Spa provides a respite from city life, as do the indoor and outdoor pools. Also housed in the hotel, Zara Art Gallery showcases local and international artists’ work, promising Hyatt guests a dose of art and culture during their stay. Choose this property to rest and relax in a captivating locale set at the lowest point on earth. 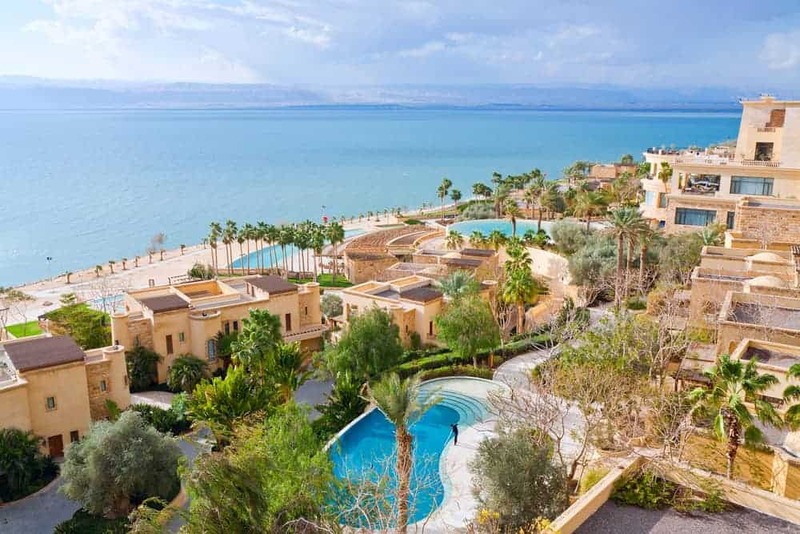 Each room at this Kempinski Hotel boasts its own private balcony or terrace, perfect for reveling in the magnificent sunsets over the Dead Sea. Expect clean, modern design with warm colors, top-tier service from a stellar staff, a luxurious spa, and several restaurants and bars. The real bonus is the property’s outdoor space, which includes nine celestial pools overlooking the water. Bliss! A swim-up pool bar, floating pontoon and sun deck, and seven on-site restaurants give travelers good reasons to stay at this Hilton hotel. 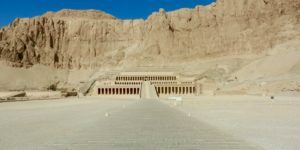 It stands on the eastern shores of the Dead Sea and promises easy access to the beach. Contemporary rooms come with all the bells and whistles that you’d expect at a Hilton including the brand’s uber-cozy Serenity beds and walk-in rain showers. Some accommodations afford lovely water views. 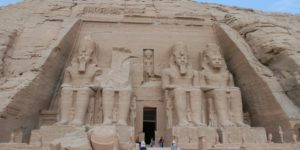 Many private Jordan tours will include an excursion to Wadi Rum or Valley of the Moon – a protected desert wilderness in the southern part of the country. At Sun City Wadi Rum Camp, you’ll have the chance to immerse yourself in the charm and simplicity of Bedouin life. 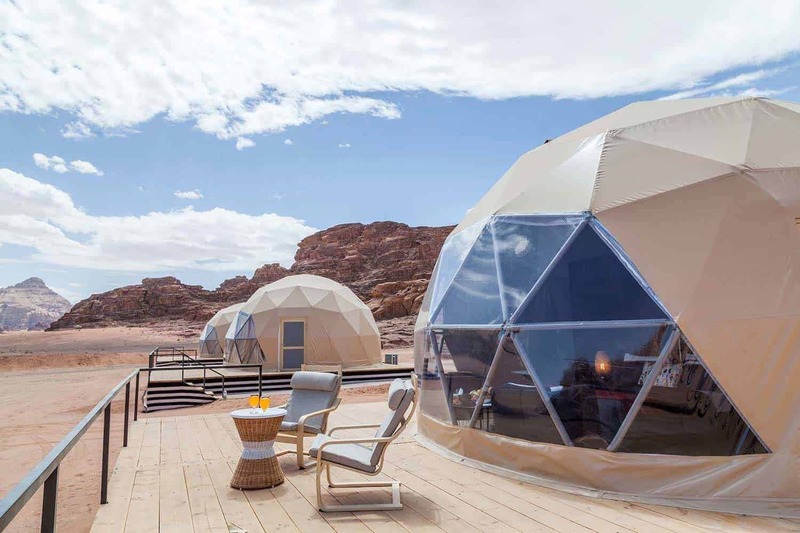 Stargaze and feel one with the desert when you “glamp” in traditional tents, spacious suites (some suitable for families) or the signature Martian domes. 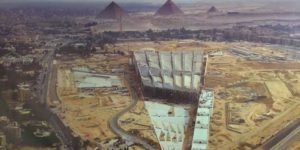 All accommodations come with private baths, toiletries, fans, cotton sheets, towels and 24-hour electricity. A reception tent provides Wi-Fi, and a dining area offers buffet-style Jordanian meals. Sun City Camp features a host of activities such as jeep tours, camel rides, hiking and climbing, perfect for the more adventurous traveler. This quiet campsite is about 37 miles from Aqaba. 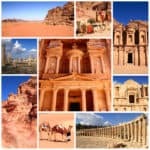 Select this hotel if you prefer to stay close to Petra, the most awe-inspiring attraction in Jordan. 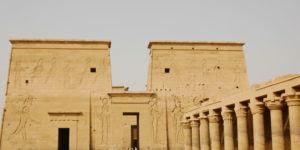 Movenpick Resort sits just outside Petra’s entrance, making it ultra-convenient for beating the crowds and exploring early in the morning, or reveling in the magic of the Rose-Red City late in the evening. 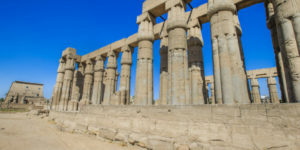 The property features a wellness center with a pool, seven restaurants including Al Baraka Tea Room and the award-winning Mediterranean restaurant Al Iwan, as well as games at the Fun Factory for younger travelers. All 183 rooms and suites provide in-room tea and coffee, free Wi-Fi and complimentary minibars. Breakfast or half board (lunch or dinner) can be included in your rate if you like. Book a Superior room boasting a balcony and mountain vistas, or splurge on a suite with a magical view of Petra’s gateway. 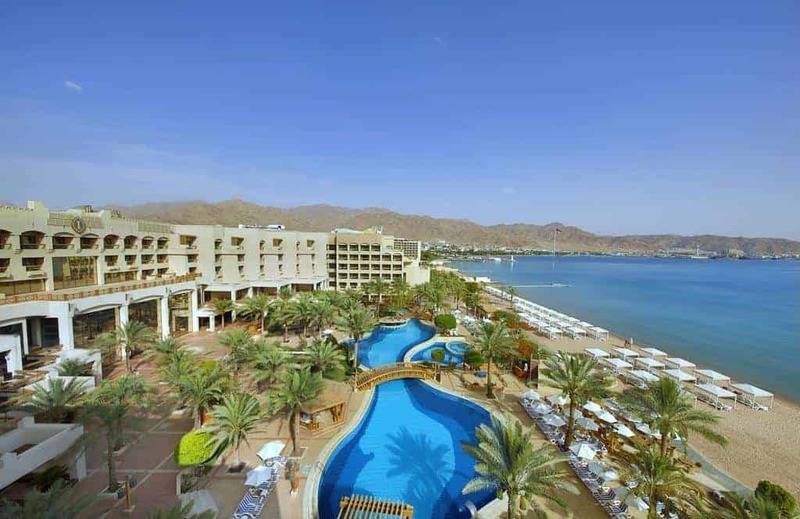 Bask in the sun on this hotel’s private beach along the Gulf of Aqaba, surrounded by soothing, turquoise blue waters. Snorkel in the Red Sea; wade in the lagoon-style pool; dine in one of several on-site restaurants or spoil yourself at the spa. This property features access to the Club InterContinental Lounge where guests can enjoy complimentary breakfast, beverages and bites in the evening, as well as refreshments during the day. All room categories include floor-to-ceiling windows and balconies, some with incredible water views. Guests can wander to downtown Aqaba, home of terrific shops and markets, in minutes.